← Howard’s car looked so bitchen. It’s on a rake, with head rests, new hub caps and a vibronsonic radio. 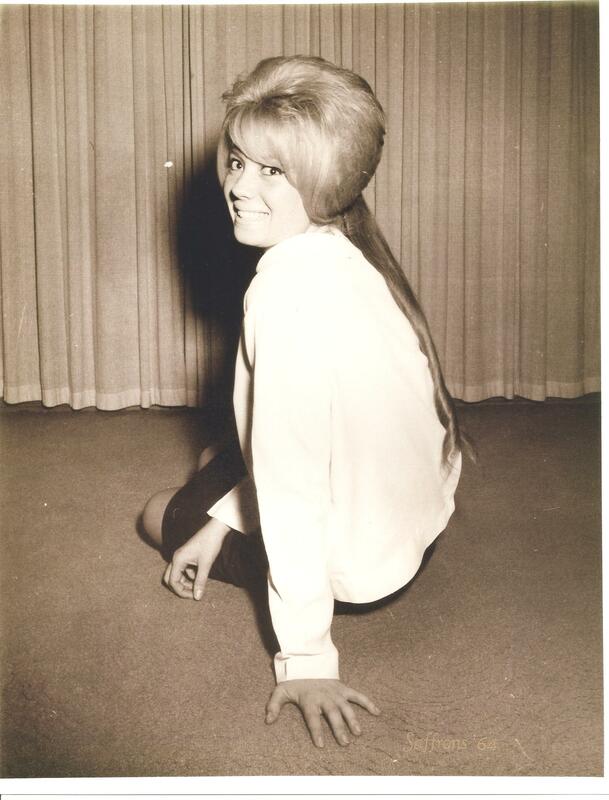 March 4, 1964, Wednesday, Ugly Day – We almost got in a fight about Tijuana. He lies to me. Drove to school. Looked ugly all day because my hair was a mess. Came home did my roots. Than we had to take my car to have the brakes fixed. Some guy there wanted to know where I got such a bitchen car. 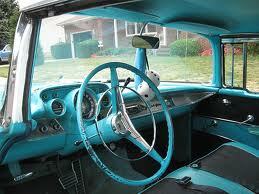 A 57, Bel Air Chevy, blue and white, with black and blue interior and blue dashboard. I told him it was my grandmothers. My grandfather gave it to me after she died last year. Such a bitchen car for a girl, he said. Came home and fell asleep until 8;00. Then forced myself to get up and make my little brother Preston a birthday cake. While doing this Howard called. He wants a picture of me. He says we’re going to the mountains for a weekend. I told him I wouldn’t do it. Told him I think I got someone for Phil. Sharon Wright. We’re going surfboard shopping Saturday. Meeting him at the beach. Sure hope we can go out Saturday. He’s getting a day job so we can go out at night. He’ll take me to Club Night. He can’t call tomorrow. So Here’s my Saffron Club picture I had made just for Howard to show his Surf buddies. 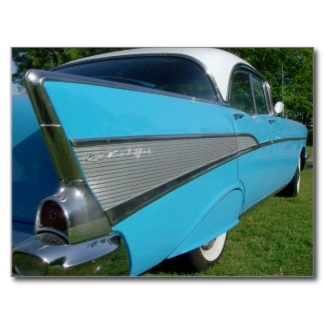 Exterior of my 57 Chevy. 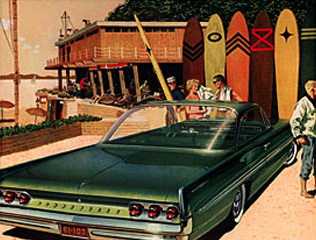 This entry was posted in 1960's Surf Culture, 1964 High School Diary and tagged 1957 Chevrolet, 1964, 1964 High School Diary, Beach, Beach Boys, Bel Air Chevy, Chevrolet, Chevrolet Bel Air, Chevy, Jan and Dean, Maybelline, Maybelline Story, Sixteen, Southern California, Student, Surf City, Surf Culture in the 60s, Surfer's Rule, United States, West Side Surfers, Westchester High School. Bookmark the permalink.